With determination, discipline, dedication and devotion as her motivation, Ghana’s Celia Baah Danso, a Lance Corporal posted at the General Headquarters Central Command in Kumasi has been able to regain her position as number one seed. Since 2010, she had been consistent and remained among the best four in the nation. When she hit top form about three / four years ago, she decided to join the Armed Forces and that affected her to call up for national duty and was left out of the Golden Loopers, but representing the Ghana Armed Forces, she won gold in the Ladies and Mixed Doubles at the World Military Games in Lebanon. After passing out of military training, she has come back to play for her unit and won many competitions. She wonders why the Sports Writers Association of Ghana (SWAG) has overlooked her and honoured some players that she beats with ease. But she is never perturbed but focused and doing what she loves best. Celia is once again the top seed and number one in Ghana and has been selected to represent her nation at the 2018 Commonwealth Games in Gold Coast, Australia. She is very happy with the selection process which was very hectic, as all the best players in the country were invited to play against each other which she came out as the best. She told Yours Truly she was going to Gold Coast fully prepared and very sure of bringing home a medal. According to her, she now plays better and faster, thanking national coach Tony Owusu Ansah for his encouragement and inspiration. 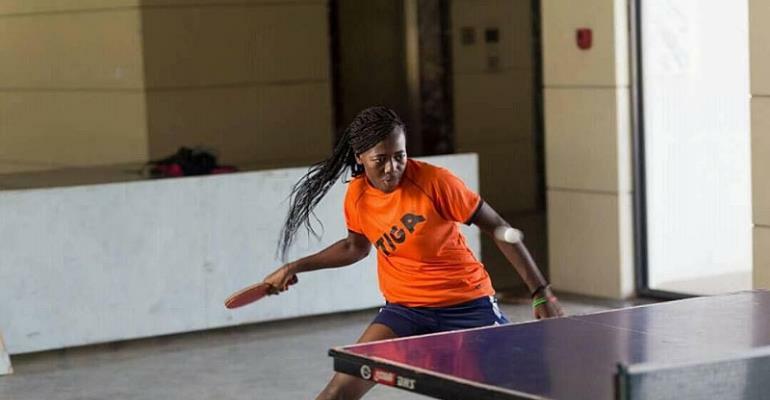 But before Gold Coast, she is going to participate in the qualifiers for the World Championship in Nairobi, Kenya from March 1 to 3, 2018, following her selection as one of the top 16 players in Africa. The World Championship comes off in Halmstad, Sweden in April 2018. The 26-year-old star hinted that she has improved her spinning, looping and batting with the racket. “I have improved tremendously, now I play faster and with speed, I am able to position myself well in front of the board” she expressed. She hopes to use the World Championship qualifiers to improve her worldwide ranking, as well as sharpen her skills for the Commonwealth Games.